Each of several projections on the rim of a wheel that engage with the links of a chain or with holes in film, tape, or paper; A wheel with teeth. 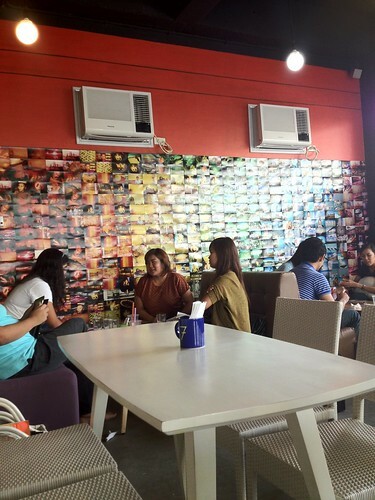 This is also the name of a newly- opened cafe in Cebu that serves coffee / milk tea, pizza, pasta, salads and more. Why that name? It's because one of the owners, I heard, is a photography aficionado. It's the reason why there are old school camera paraphernalia on display and a wall of lomo photos. 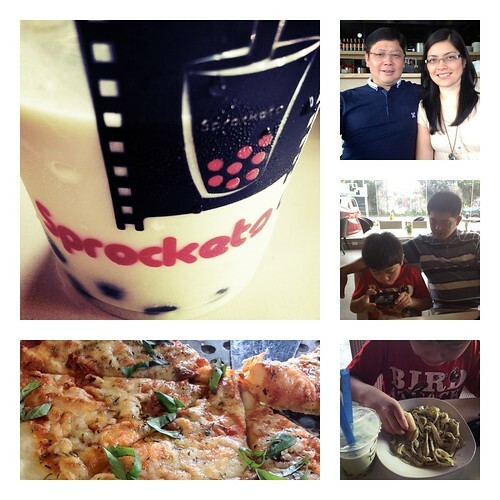 We tried it yesterday, a Saturday, and had their oolong milk tea, honeydew milk tea, pesto pasta and pizza margherita. Verdict? We enjoyed our orders (and the place too). :) And we'll be coming back to try more of what they have. I'm at a lost to relate sprochet to photography.